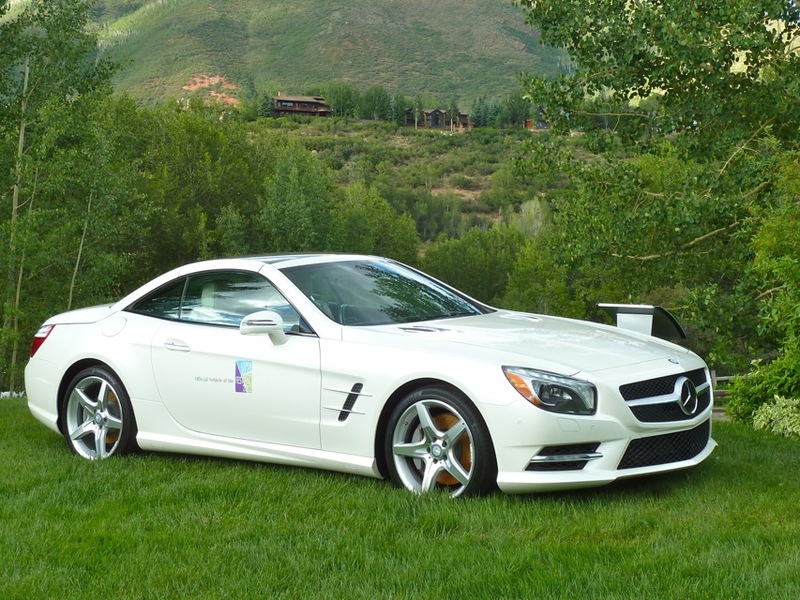 An Aspen investment vehicle, at a recent Aspen Ideas Festival at the Aspen Institute, where a number of Aspen's billionaires are on the board of trustees. ASPEN – The growing gap between the very wealthy and the working class in Aspen and Pitkin County emerged as a theme during a meeting Tuesday of county commissioners and several local leaders on community challenges. “I see the community as continuing to be a magnet for the very affluent, as long as we don’t screw it up by making them feel unwelcome,” said BJ Adams, a real estate broker who lives in Snowmass Village. When asked by Pitkin County Manager Jon Peacock to elaborate, Adams, who first came to Aspen in the 1970s, said it has now become “very clear” in Aspen who has money and who doesn’t. 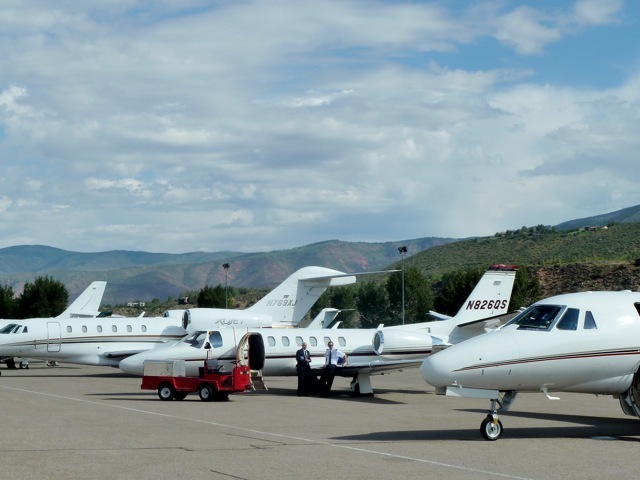 She said, for example, it can be hard for working parents in Aspen to deal with situations such as when their children’s classmates are taken to soccer games in other towns on the family jet. “That can be kind of a messy situation,” she said. But, conversely, she has also heard from wealthy clients who feel they, and their trappings of success, are not warmly welcomed here. Adams also said many of her clients bristle after encountering Pitkin County’s growth and building regulations. But Adams also said it was important to make sure that those without vast fortunes feel like they can live in Aspen, too. She said she has lost many good employees who felt they needed to leave the valley in order to raise a family. Alan Fletcher, who is in his ninth season as president and CEO of the Aspen Music Festival and School, said many wealthy, and relatively young, people are moving to Aspen. On the other hand, Fletcher said that when trying to hire senior staff members recently, he felt compelled to discuss the income disparity in Aspen with them. Fletcher said he recently met a local student who helped him understand the wealth gap in the valley. A young girl in the classical music lesson program sponsored by the music festival and school introduced Fletcher to her father at a recent school event. Fletcher then asked local teachers how many kids in the classical music program likely needed a scholarship to stay in the program, and he was told about 75 percent could use the help. He said he then went to a member of music festival’s board who has kids in the local schools and asked her for a donation to fund the necessary scholarships. “She said ‘Of course,’” Fletcher said, but the donor added that she didn’t want public acknowledgment of the gift. Karen Schroyer, the new Forest Service district ranger for the Aspen-Sopris Ranger District, said that affordable housing was a key issue as the federal agency struggles to fill vacant positions. “Housing is our biggest concern for our employees,” she said. “They are government employees. They don’t get paid a whole lot. They come here because they love the area, they love the environment, they want to recreate, and they want to be part of a community that cares about the environment. Commissioner Rachel Richards said the issue of income and wage inequality has been stirred up nationally and that it will be hard to resolve just by the community being more welcoming. “Our economy is one that will always depend a lot on service-industry jobs, and yet at the same time, the message that comes from a lot of the national politics is that ‘These guys don’t deserve anything. They should better themselves if they want to be able to have a job where they can afford health insurance,’” Richards said. She added that conflict often comes out of what people perceive as attacks on their self-worth, whether rich or poor. And knowledge of that might be helpful when looking at the local issue. Editor’s note: This story was published in collaboration with the Aspen Daily News, which published a version on Wednesday, April 2, 2014.